This course will address the topics associated with overeating, poor health and child obesity. Child obesity is a result of adult modeling and social conditioning. The book examines the historical myths of fad dieting or will power and why they do not work. Solutions are presented regarding cravings, nutrition, exercise, hormones, focus and various issues related to health. 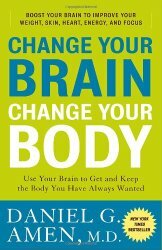 The relationship between the brains major role and the holistic integration of healthy life style habits are emphasized. Negative thinking patterns, inattention and brain disorders are addressed for teacher awareness and school interventions. Educators will develop an action plan or activities that address how teachers and schools can address the concerns of child obesity in today's society. Educators will be presented with the ten principals for changing your brain and body that includes the brain's physiology and action steps to address any deficiencies. Participants will learn about balancing brain chemistry to regain control over cravings and the will power robbers that keep individuals from their optimal weight. Educators will learn about the ideal foods to meet the nutritional needs of the brain in order to function at optimum levels both physically and mentally for focus and learning. Participants will review the role of exercise to the body as well as the value to the brain that include positive behavior, better sleep, hormone balancing and other benefits. Educators will examine the new brain and body science as it relates to them personally and develop lessons or activities that address health and child obesity issues in schools.